Ludicrously fast 4 cylinder king. Pretty soon "sports cars" will have a 2.5L flat 4 with a small hybrid system. Putting out nearly 600hp. Turbo v8 hybrids will have 1200hp. That's 0-60 in 3.8 seconds basically as good as corvette c7's best launches 2 tenths or so slower to 100mph, difference is that the corvette will drink like 3 extra gallons or 10 liters every 100 miles driven around the city. Cayman and boxster are cheaper in Germany C7 is cheaper in the US. This car is also too fast. The "Turbification" of entire Porsche model line (minus GTX cars) has lifeted Porsche straight line performance to the next level. This car is another over-achiever. Posting great results in both track and straight line. As far as the disadvantages for downsizing to 4 cylinders - I think its not that bad, it's still a boxer and it will still have some character to the way it sounds. Ridiculous performance. Destroys even last Boxster Spyder, new 911 Carrera and Cayman GT4. 718 Boxster S 0-100kph in 3.9 seconds on the speedometer. I think a possibility to add a link for the manufactors data would already be sufficient. Than people can verify it. But it isn't really important anyway. Agree. That is a bit of a problem, especially topspeed (hardly anyone can test topspeed other than manufacturer and even manufacturer sometimes publishes "educated guestimates"). Ok, sounds great. But I think removing the manufactors data isn't good because there are a lot of cars, which aren't properly tested. Also there are only very few top speed tests. In near future the link will be displayed as a clickable link in test pages. So even better than displaying as reference. The video embed feature is not implemented yet, but coming soon too. Ok. I have included the link in the name, because now the link isn't published as reference. I have added the video. Also, don't bother adding manufacturers 0-100, topspeed etc. They will get improved by magazine tests / tv shows. And manufacturers data can not have proper reference - it just says "manufacturers data". I will probably remove ability to add "manufacturers data" 0-100, 0-60 and topspeed altogether (just keep database cleaner and with proper references (to publications)..
1) I gave contributor accounts rank bonus so all your tests will get published immediately. 2) Don't include link to article in publication name. Use "id:" key (which basically means "this publication exists there (id is a link that points to where it is published in the internet)". 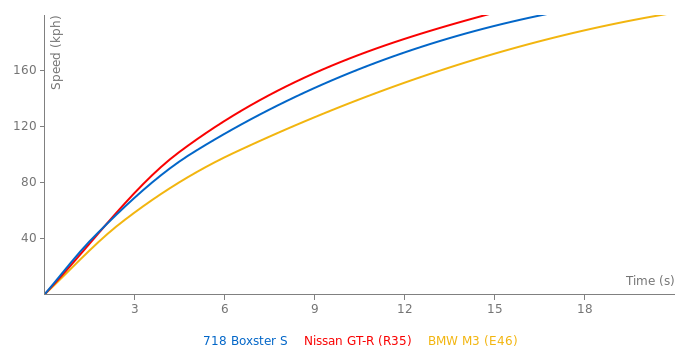 I changed name simply to "Motortrend Z06 vs ACR vs GT3 RS"
3) Braking times in mph coming very soon. The ones you already added will get added automatically once I implement mph braking times. 4) If there is a video, you can add "video: " to the publication. All tests will get that video embedded in their test pages. I haven't got any new mails. I think its just a facelift. But rear lights do look very nice. Engines are, of course, better than the previous n.a. engines in every measurable metric. However, they will not sound nowhere near as good as flat 6. And flat 6 sound means "I have a Porsche". 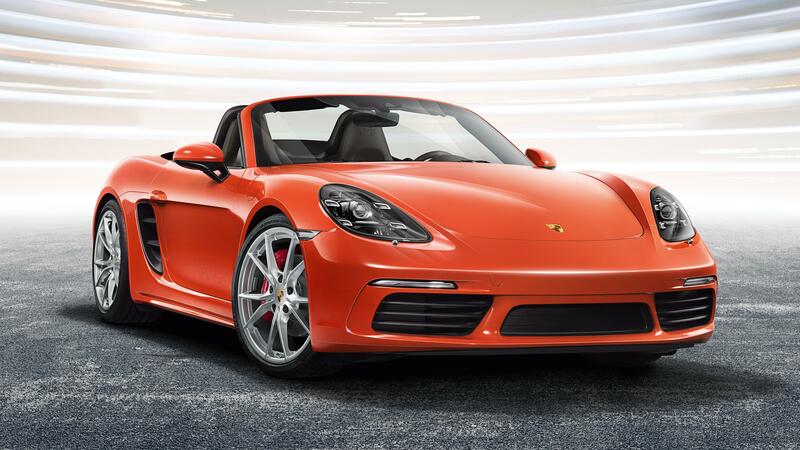 This new Boxster is very beautiful! And the power boost from the last model is also quiste substantial (35 ps).